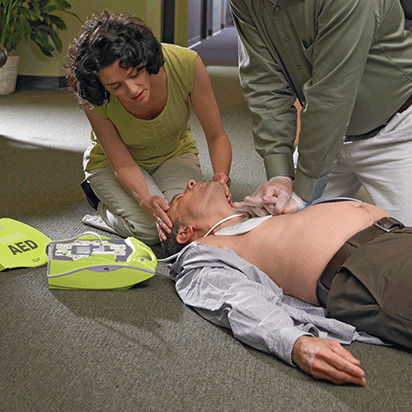 Along with providing comprehensive training on how to use an AED, the Red Cross partners with leading manufacturers to help you obtain the devices you need to keep your workplaces, schools and facilities safe. For more information about obtaining an AED please call 1-800-567-1487 Monday-Friday, 9:00am-6:00pm ET. Enter your information to take advantage of the special offers and pricing opportunities from brands such as Phillips, Physio-Control and Zoll.